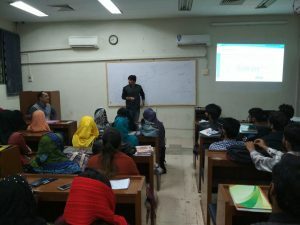 Department of Computer Systems Engineering organized a technical talk titled “Modern Research Trends in the Fields of Deep Learning” which was held on 7th February 2018 in which more than 100 students of final year batch participated. 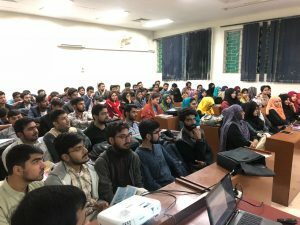 Chairman Department of Computer Systems Engineering, Prof. Dr. Sheeraz Memon introduced the guest speaker with his research biography. 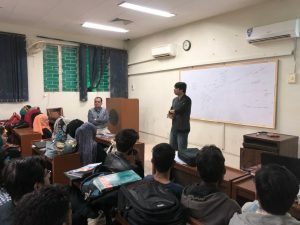 The talk emphasized the importance and modern trends in the field of deep learning, machine learning, IoT, IIoT, smart sensors and e-health applications. 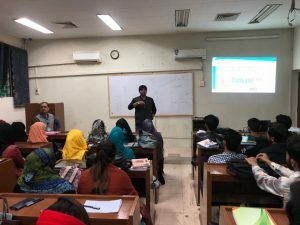 The students were brought in focus to choose final year projects from the wide domain of machine and deep learning. Machines are learning from past experiences are performing better than humans in the fields of health, industry, research and almost in every field which leads to decline in number of job opportunities for humans.